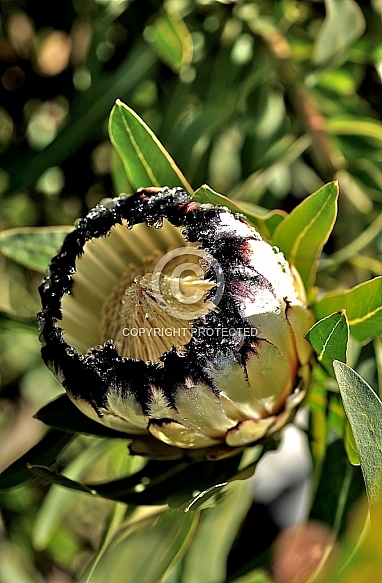 Description: A beautiful New Zealand selection of this well known South African species, 'Purity' has larger than normal flower heads with creamy white bracts tipped with thick black fur, Mainly produced over late winter/spring. Vigorous, bushy growth to 2.5m. Well-drained, acidic soils. Full sun. Light frosts tolerated. Avoid fertilisers.